About two months after Prince’s passing, I found that Prince could move my limbs if I allowed him to. For me, at the time, it was another way for us to communicate. Though I had some telepathic ability to hear him, I still still unsure of what I was hearing. Not yet confident of the connection. He could move my hand, so we began drawing on my iPad. At first, the drawings were non-sensical. They seemed more energetic, not really appearing to depict anything. But there was an energy about it that was communicating something. The pictures developed and a more visual style came to be. Other times, he would write words as a picture. Like a playful doodle. Sometimes I would ask him to draw something to express an idea or concept. It becomes like a little game between us. All the drawings on this website are his drawings. I always thought it was an interesting process. 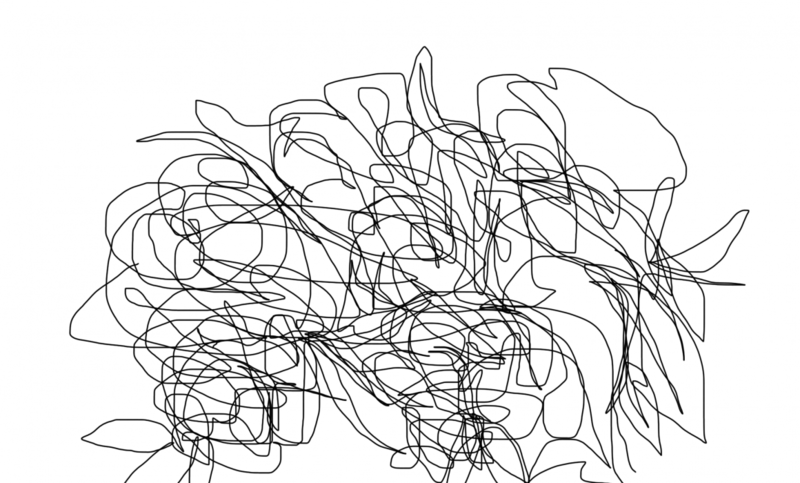 My stylus never leaves the tablet surface as we are drawing, so it’s often a drawing made up of a couple continuous lines. I’ve always wanted to film the process, but found it somewhat tricky. I recently found an app that allows for video recording. So I gave it a try. Here is a vide of one of our drawings. I recorded sound during the drawing and caught an EVP. The video is speeded up. The drawing itself took around 8 minutes in real time.. Here is a EVP audio on its own, on loop. He says, “I’m drawings roses for Andrea Mai”. Image above: “Roses for Andrea Mai” by Prince in spirit.